I'm not sure what was going on, exactly, with the obviously crazy person that mistakenly mixed this slice of heaven in with their donation pile, but I was certainly happen to take advantage of their misfortune. I'm not sure how old it is, but I don't remember it in any of the past couple years collections. 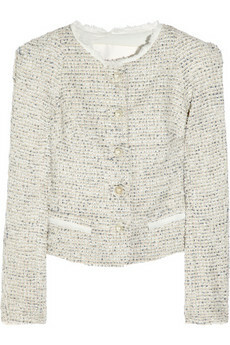 I already have a pink tweed jacket but was in the market for a lighter one with a white or cream base. 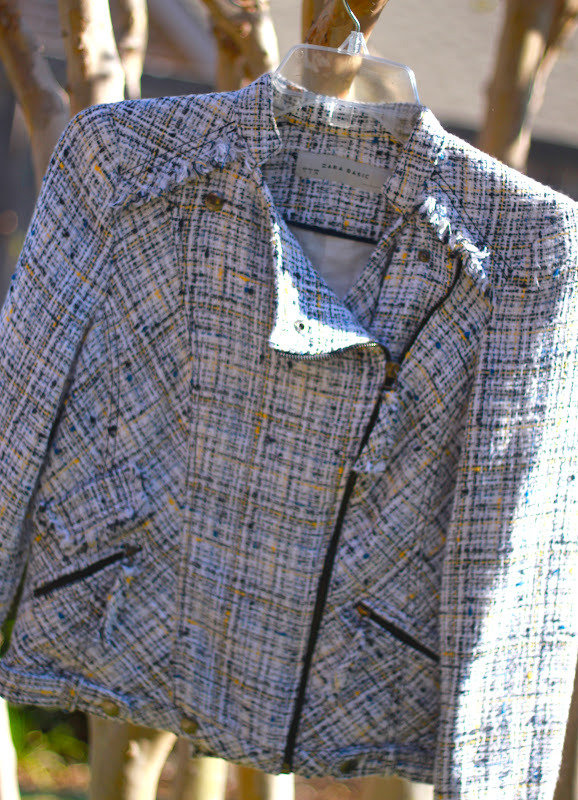 This jacket is so perfect and has little threads of cobalt and yellow that make it easy to coordinate with bright colors. The tweed is polished enough for the office and the style and cut easily takes it to night. Definitely one of my favorite finds. Die for the Zara. Still may snag it. Part of TRF and only $89. That is an amazing find!! Can't wait to see how you style it.